SR22 Insurance - Get Quotes, Compare Online and Save! 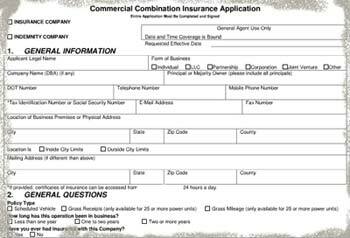 SR-22 is not a type of insurance, but rather the name of a form that the insurers file with the state's DMV. The certificate issued by an insurance company testifies that you have an insurance policy that allows you to drive on the state's public roads. It is issued to high-risk drivers, as per a court's requirements, when you have been caught driving while intoxicated, have operated a vehicle with an invalid license (expired, cancelled or revoked) or with expired license plates. The SR22 insurance certificate shows that you are in compliance with the state's minimum Financial Responsibility Requirements – in other words, a proof that you hold a valid liability insurance policy with at least the minimum limits required by the state you reside in. A SR-22 certificate is required to reinstate your driving privileges if your license has been suspended as per a court's decision. Also known as a non-owner's certificate, this policy covers you if you don't own a vehicle and nor does anyone from your household. Since it's assumed that you don't drive a car frequently, hence the lower risk of getting involved in an accident, non-owner's SR22 is the cheapest on the market. If you have been convicted for a DUI and the court has decided that you must operate vehicles with an Ignition Interlock Device (IID), you cannot get an Operator's SR22 Certificate for obvious reasons – the cars that you are going to drive occasionally aren't likely to have IID's installed. As you might have guessed, you will need an Owner's SR22 Policy if you own one or more vehicles. Each vehicle has to be listed on the SR22 certificate, or you may get one that works with "All owned vehicles". An Operator's policy doesn't cover you if you drive a vehicle that you own, nor does an Owner's one protect you if you cause an accident while driving someone else's car. An Operator's-Owner's Certificate protects you in any of these scenarios, and is the right choice if you frequently drive cars which may or may not be yours. The fees for filing the SR22 form are quite insignificant. Some companies offer SR22 filing for free, while others charge a nominal fee between $15 and $60. The major issue, however, is with the real cost of the auto insurance, which is often proportional to the seriousness of the violation that lead to the SR22 requirement. Your age. Insurance costs are already quite high if you are very young (in your early twenties) or are getting old (65 and more), but if you have also committed an offense that lead to a SR22 requirement then your premiums will go through the roof. Statistics show that insurers charge the lowest fees to male drivers in their forties. Your marital status. Statistics have shown that married people drive more carefully than single ones so, again, being married is a plus when your record is being evaluated. Your gender. Women drive, on average, less than men, hence they are less likely to be involved in a traffic accident. Therefore, insurers will bill women drivers less. Number of previous convictions. Some states don't even have a SR22 requirement if it is your first DUI and insurers like Allstate have "accident forgiveness programs" in place where they guarantee not to increase your premiums if it is your first accident, even if you were at fault. However, repeat offenders will have to reach deeply in their pockets. Geographical area. The general price level in rural areas is lower than in metropolises where all the "big players" have their headquarters. Companies that operate in small towns in Kentucky or Alabama are likely to charge less for SR22 insurance than the ones which operate in Washington DC or Manhattan. Occupation. A delivery agent who drives six hours a day is far more likely to be involved in a car crash than one who sits behind a desk and only uses a car on weekends to drive to the local supermarket. Drive less. If you have been commuting to work with your car before you got the SR22, consider using public transportation. It's not only good for your budget, but it will also lower your premium, since a lower yearly mileage means a lower risk of an accident. Enroll in a DUI program. If you have been caught driving while intoxicated, enrolling in a DUI program is mandatory in a lot of states (like California) and recommended everywhere else. Next to the good habits you will learn there, the insurer will also consider lowering your premiums. Carry only liability insurance. Comprehensive and collision coverage is expensive even for regular drivers, but when you have a SR22 requirement it may be that you pay more per year than the car actually costs. Dropping all packages on top of liability can lower your premium by as much as 50%. Do your Math and see how much you can earn by lowering your liability limits down to the state's minimum requirements and weigh the savings against the risk of having to cover extra amounts in case of a larger accident. Drive a slower/older car. That Porsche in your garage with lots of horsepower under the hood has already cost a small fortune to insure, but now that you have a SR22 requirement the costs will go even higher. Consider switching to a slower and/or older car for the whole filing period. Buy an old sedan (10+ years will do) that is not financed, so that the leasing company won't ask you to carry full coverage. Shop around. It goes without saying that you shouldn't sign a contract with the first company you run across. Compare offers and see who has the best deals. Do your homework and you can save another 10-15%. A good idea is to use an insurance comparison site that lets you analyze offers from various companies on the same page. Maintain a good credit rating. Your FICO score counts towards your premium costs. If you aren't responsible enough to pay your bills on time, every time, how can an insurance company trust that you are going to be a responsible driver? There are lots of programs that help you improve your credit score, so further advice is out of the scope of this website. An SR26 is the form that the insurer files with the state's DMV when your SR22 is no longer valid due to a cancellation of your auto insurance, a lapse or whatever other reason. Once the SR26 is filed, the local authorities will immediately revoke your driving privileges (the process may take up to two weeks in some states though). Once the legal term is over, the insurer will most likely file the SR26 and readjust your premium. However, remember that it is your responsibility to notify them that your filing period is over and let them know that they have to undertake the legal procedures. Should you, at any point, wish to voluntarily give up on your driving privileges, you may hand over your driver's license to the local DMV and notify your SR22 insurance company of your decision. You must currently hold a valid insurance policy and your license mustn't already be suspended or revoked. Depending on your insurer's terms, you may even be reimbursed for the time remaining until the end of your policy.